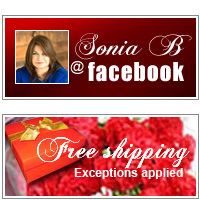 We are proud to share with you our Sonia B Creations Warranty Information. Your purchase will be repaired at no charge for one year. This includes sizing, tightening, refurbishing and replacement of stones. There will be a flat rate charge of $15.00 for shipping and handling of any repair done under the warranty service. Please include a check payable to DPL Design, Inc. enclosed with your repair. 35 West 45th Street 5th Floor, New York, NY 10036, Attn: Teresa. After one year of Warranty, we will offer to our customers a complimentary cleaning to make sure that your Jewelry will Sparkle and Shine.